Set back from the road, in the picturesque woods of the Mid-Hudson River Valley, sits the place Franklin D. Roosevelt called home – the Springwood estate. 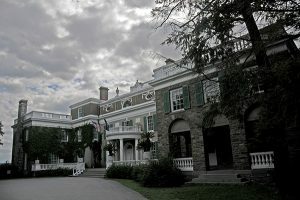 The early 1800’s Georgian Colonial style mansion sits on 800 beautiful acres along the Hudson River. There are over a dozen rooms, but one in particular is the home to a piece of artwork that has a special significance in the history of the Roosevelt estates, and with its notable occupants. 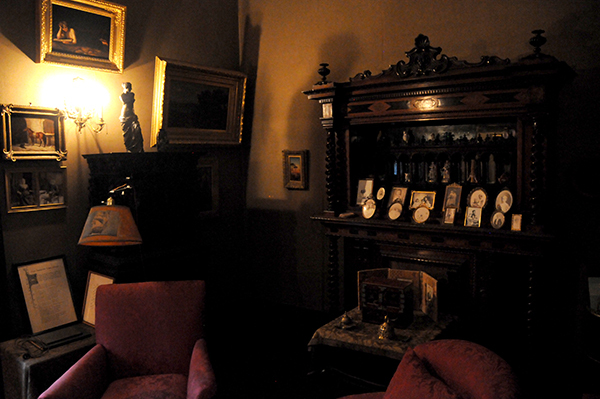 When a visitor walks up the bluestone steps, into the foyer, and takes a turn to the right – the first room they will see is the study used by FDR’s Mother, Sara Roosevelt. 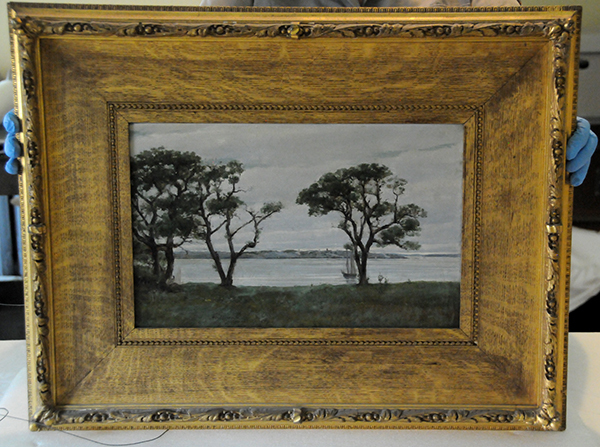 In the corner of the office, among an almost salon style mash-up of other artwork, hangs a painting by Albert Munsell. Sara Roosevelt handled the finances for the Roosevelt family and this study is where she would start her day. In it, she surrounded herself with photographs, artwork, and other things that held meaning to her. This room is a reflection of the indoor environment she desired. When rooms in the house were being renovated and refurnished, she didn’t want to let go of things, so this became the space where they would reside. The small office became jam packed, and the “Snuggery” became the very fitting name for the room. 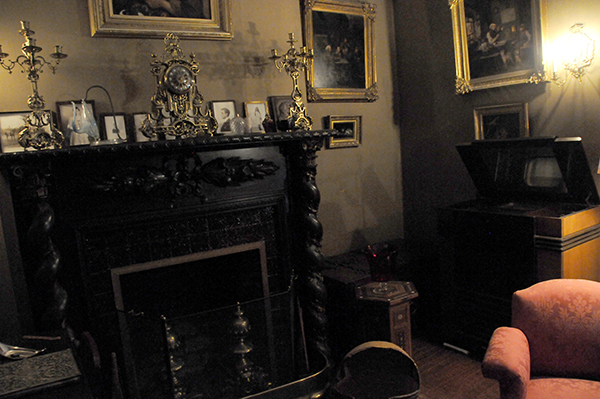 A view of the right side of the study and the space in the corner where the Albert Munsell painting hangs. A view to the left side of the study. 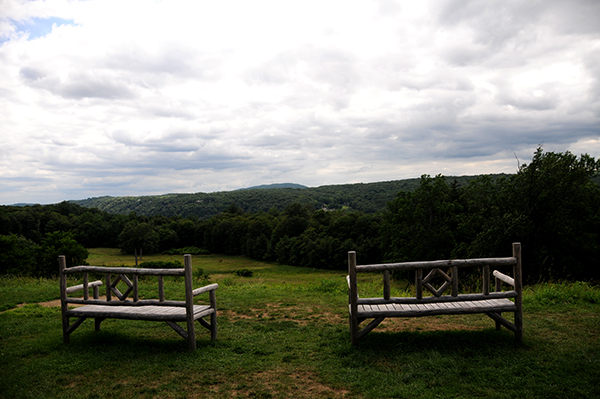 Outside on the grounds of the estate are rolling hills that lead to panoramic views of the Northeast deciduous forests. A stroll around the southwest side of the home opens up to a serene view of the Hudson Valley. It is a majestic part of New York State, and this area was connected to New York City by a railway along the winding river, that is still in service today. Campobello – the subject of Albert Munsell’s painting – was the Roosevelt’s summer retreat in New Brunswick, Canada where the weather was cool and the views equally as spectacular. One could sit and gaze at the sunset in either location, and gain perspective or find respite. In that way, both places were related. 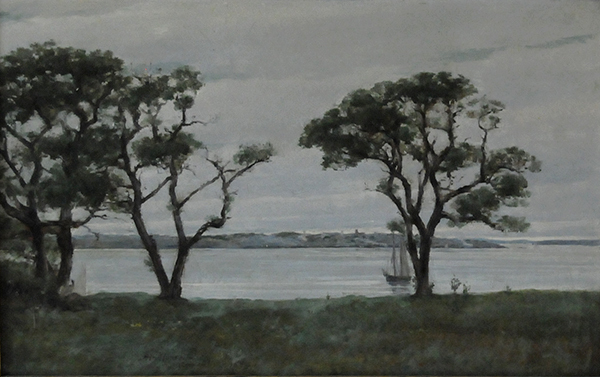 Albert’s painting of the view of Campobello Island bay was appealing to the Roosevelt family because of their connection to the area. 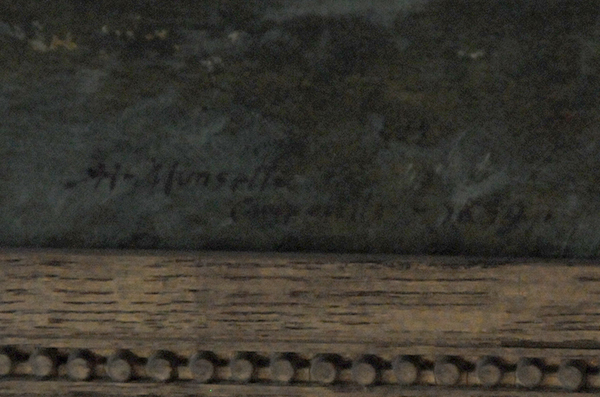 It was Sara who acquired the painting and added it to the collection in her study. One can imagine, it was a way to always have the memories of the summer with her all year long. When enjoying the amazing views of the property’s panoramic landscape at this Hyde Park Home, together with the artist’s portrayal of Campobello – both peaceful and majestic places – it’s easy to see why the Roosevelts cherished their time in the inspiring countryside. Here we see the family enjoying a summer day in 1907 at Campobello – with those familiar and distinct trees we see in Albert’s painting in the background of this photograph. Many don’t know Albert was first a painter, which is what lead him to develop the color system. Few works of his exist today, so it is always exciting to be able to see one up close and in person – especially in such a fantastic and historical setting.